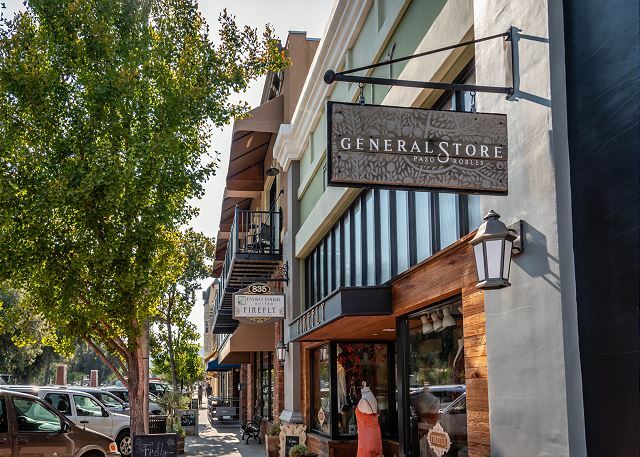 One of four distinctive units "on the park" in charming downtown Paso Robles, with all that downtown has to offer right outside the front door. 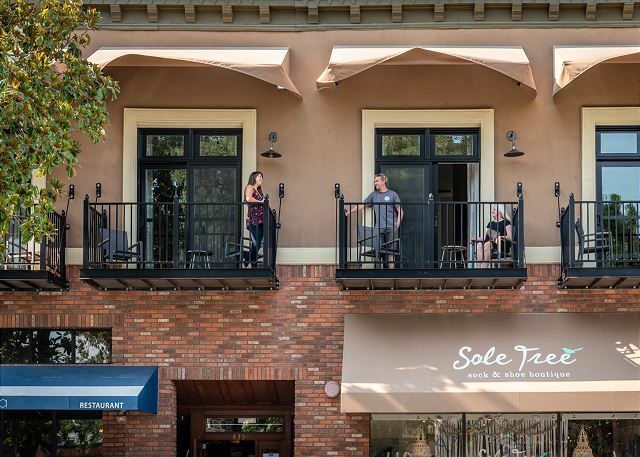 Descend by elevator or stairs to restaurants, boutique shops, wine-tasting rooms, brew pubs, movie theater, concerts in the park, and so much more. 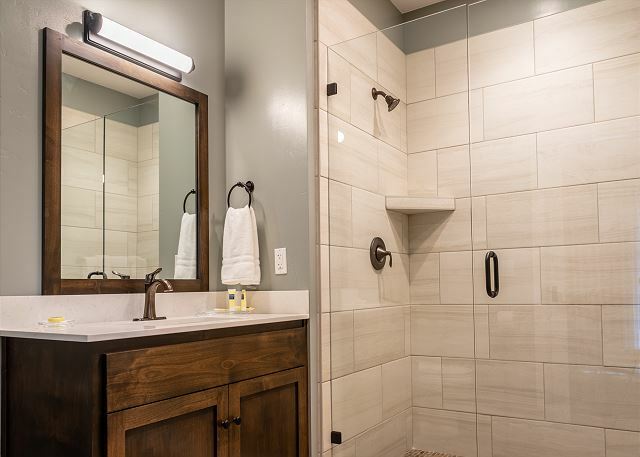 Crisp, clean decor and furnishings bring upscale quality to each well-considered detail. Specialty linens, towels, bathroom amenities, and robes enhance every aspect of your stay. 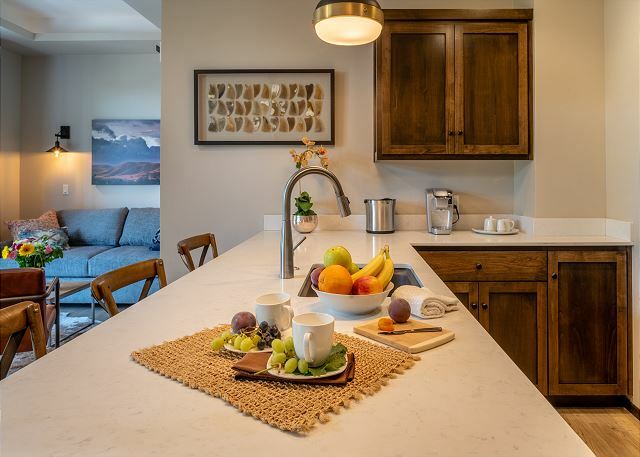 Apartment-style kitchen with coffee maker, beverage cooler, microwave, dishwasher and two-burner electric stove top. Flat screen TV and queen bed complete the living area, with comfy queen sleeper sofa as an added feature. Unique artwork combines with soothing color scheme and glorious park view from private balconies to create perfection for your stay. 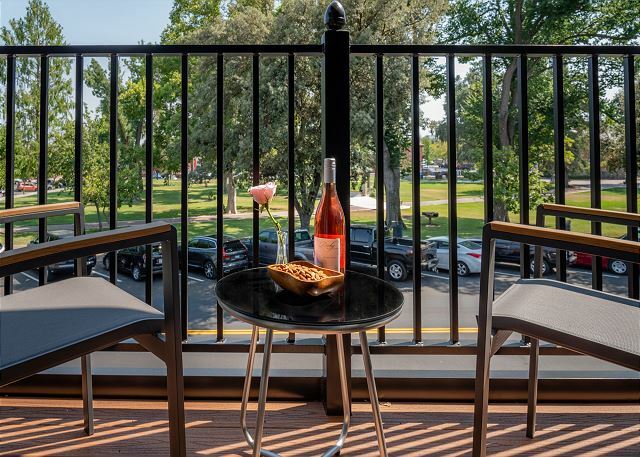 Paso Park Suites offer the only downtown balcony living overlooking the town square. 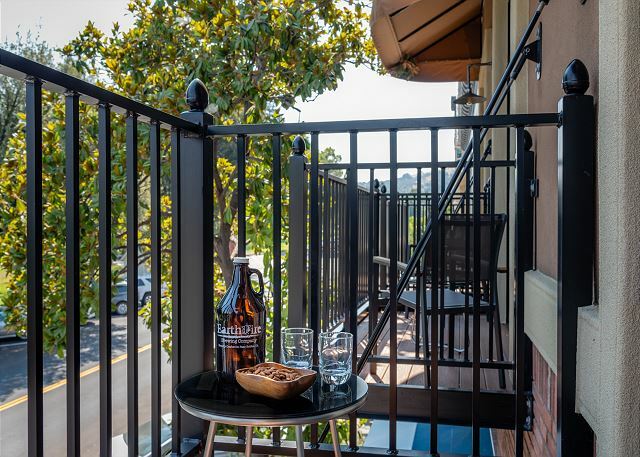 Take time to linger over an evening glass of wine or morning coffee on your private balconies, two with this suite! 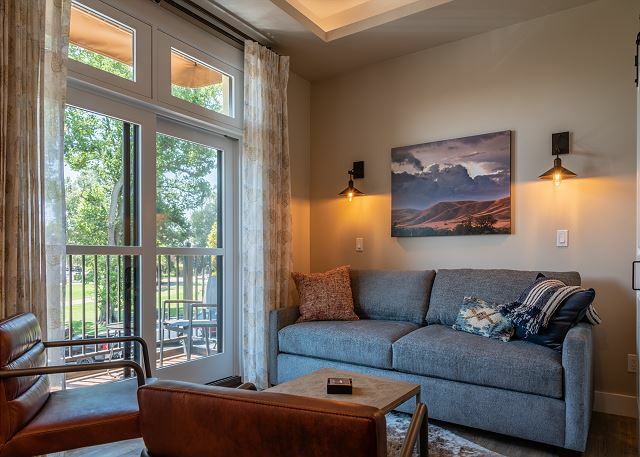 Every detail is anticipated and executed with superior quality, combining city living with small town charm in one perfect location. Digital sound system on site, ready for you to hook up to your personal playlists. 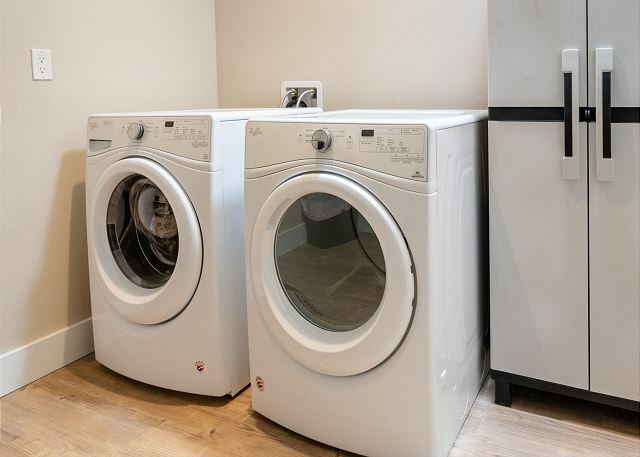 Ice maker and laundry area available to all guests. On-street parking. Paso Robles Vacation Rentals® is your local expert! Please contact us with questions about restaurants, wineries and fun things to do on the central coast! We spent a weekend in August in Suite 201 and LOVED it! 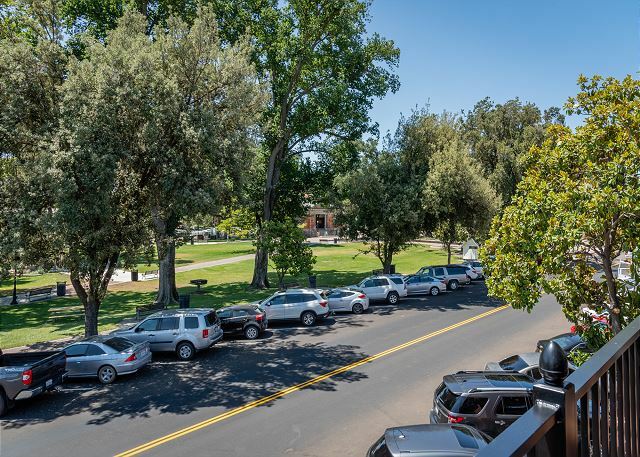 The location is truly right on the park and near lots of restaurants, charming stores, wine tasting spots and everything in downtown Paso. We walked all around the town. The Suite itself is brand new and the designers did a great job! It is very spacious and luxurious throughout. 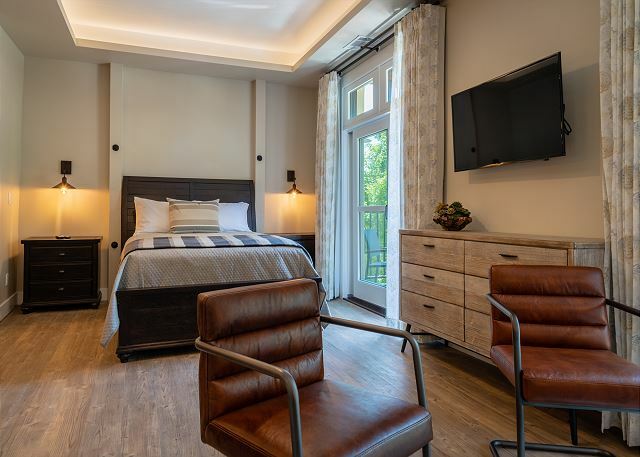 There are high ceilings, hardwood floors, large bathroom, a super comfortable bed and well stocked kitchen (glasses, dishes, etc). Our Second Stay and It Was Outstanding!